Physical businesses can capture a significant percentage of this year's $935-per-person spend by attuning to shoppers' mobile desires — both in and out of stores. 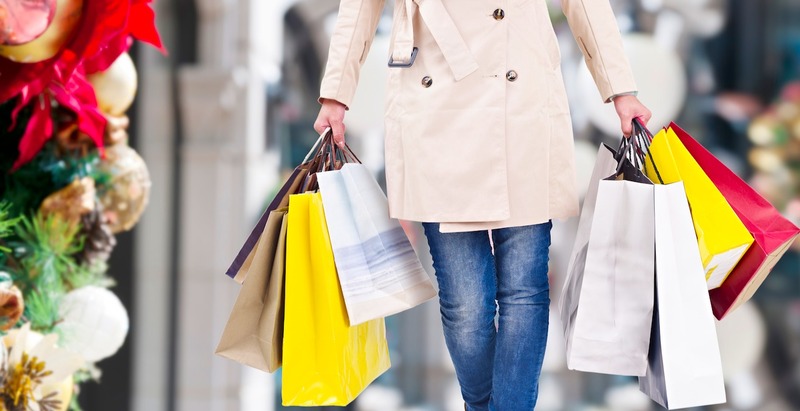 With the election in the rearview mirror and Black Friday around the corner, retailers are gearing up for the make-or-break holiday shopping season — and there’s some good news for physical businesses amidst the chaos: The highest percentage of consumers (57 percent) say they plan to shop for holiday gifts at a department store, according to a survey from the National Retail Federation. Consumers will shop around, the NRF reports, splitting their time between three top destinations: department stores (57 percent), online (56 percent), and discount stores (56 percent). In other words, a majority of consumers still plan to shop online, but brick-and-mortar businesses should expect visits to ramp up shortly — and prepare to take advantage of the fact that shoppers will spend a per person average of $935.58 this year. First off, retailers must be cognizant of consumers’ continued reliance on mobile, both in and out of stores. This shouldn’t be news to savvy marketers, but it bears repeating: Delivering relevant, location-based mobile ads is effective at driving foot traffic to stores — and retailers should be preparing to expand these efforts — but the journey doesn’t end there. As a GPShopper/comScore report made clear at the end of 2015, smartphones are an in-store holiday shopping aid, not a store replacement. In 2015, 46 percent of consumers said they planned to use their mobile device during holiday shopping to do price comparisons in-store — and 31 percent said that they would search online for additional product information while in a store, a stat that is likely to hold true in 2016 as well. While retailers should develop a coherent location management strategy to ensure that listings and location data are all up to date — after all, 28 percent of shoppers will search on mobile to locate stores they want to shop in — it appears equally important to optimize the in-store mobile experience once those consumers are on site. Essentially, physical can deck the halls with wreaths and tinsel — and likely should, as that experience can’t be duplicated online and is a large part of what draws that 57 percent of shoppers into department stores in particular — but they had best focus on their mobile “decorations” as much as much as the physical ones. Delivering relevant offers at optimal in-store moments, as retailers like Macy’s and Target are aiming to do with beacon programs, is still key, as is developing an omnichannel strategy that delivers a coherent shopping journey across devices, this holiday season and beyond.